Strawberry Chic: DIY Tuesday: Mini Cake - "Cake Pops"
DIY Tuesday: Mini Cake - "Cake Pops"
Cake pops are one of my favorite new inventions. I love that I can take the cake pop batter and manipulate it into pretty much whatever shape I want, depending on the occasion of course. Have you seen the Bakerella website, if you haven't you must because the possibilities are seriously endless for cake pop designs! I'm finding it hard to make something that has already been done! 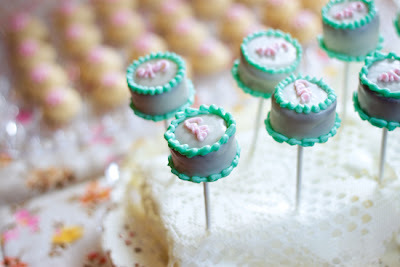 Well, I made these mini cake "cake pops" for the "Let Them Eat Cake" party I posted a few weeks ago. I thought they turned out pretty cute and the girls loved them! 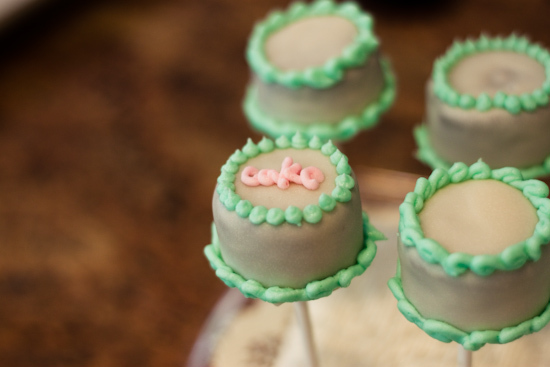 Don't worry...the instructions for these cake pops are a lot more simple then my Spring Flower Cake Pops, I promise! Step 1. 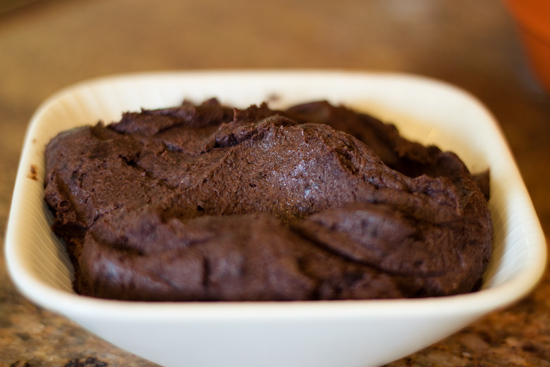 Make a batch of cake pop batter using steps 1-4 from my previous Spring Flower Cake Pop tutorial (only use chocolate cake mix instead). Step 2. 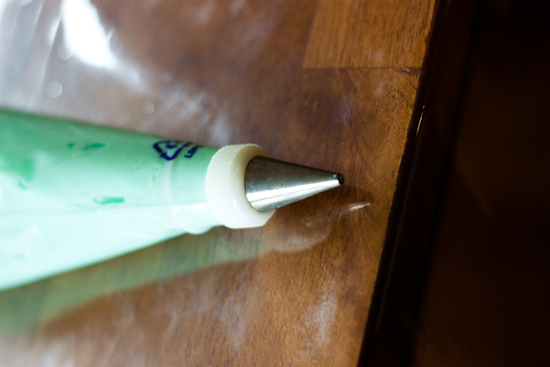 Line a large baking sheet with wax paper. 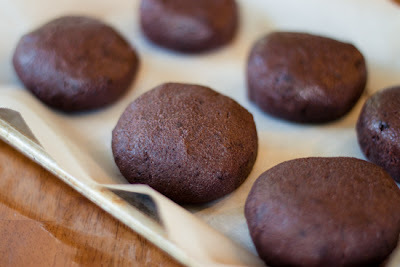 Then, form the mixture into small round balls about 1-1/2" - 2" in diameter. Then squish them down so the tops are fairly flat. Let the cake ball forms sit in the freezer until they firm up (either a few hours or overnight). Step 3. 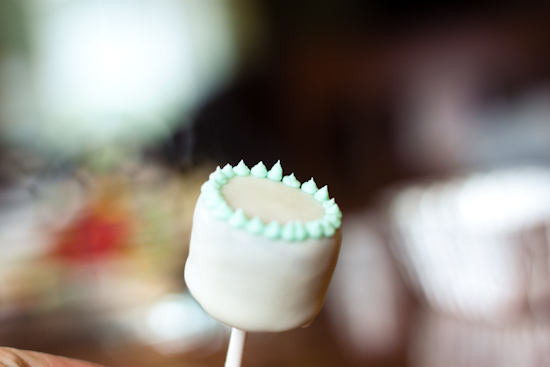 Press your 1" diameter cookie cutter into your cake pop forms and trim away excess batter with your fingers. 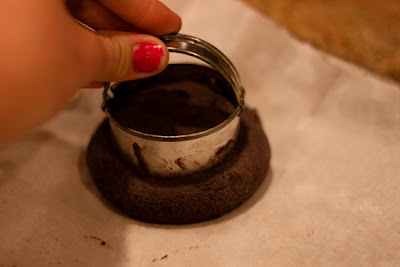 (tip: if you coat the inside and outside of your cookie cutter with shortening it will cut through the cake pop batter easier). Step 4. 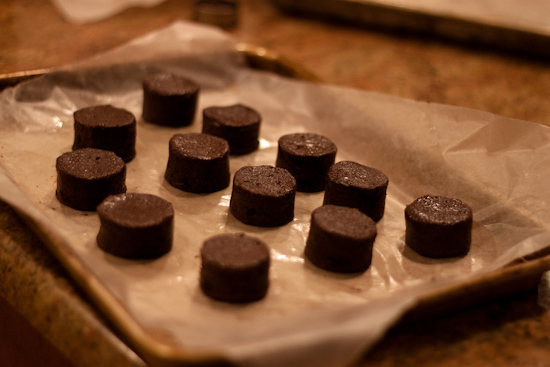 Place mini cake forms on a baking sheet lined with wax paper. 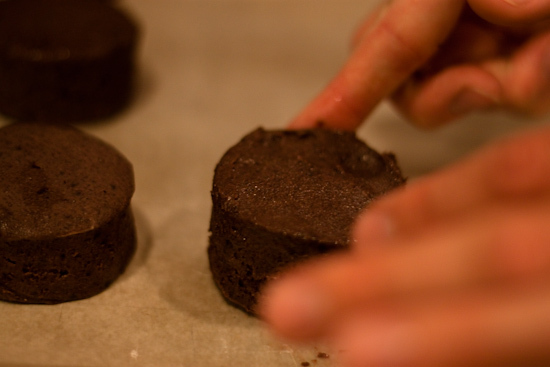 Place a little shortening on your finger tips and smooth out the tops and sides of your mini cakes. Step 5. Insert the Lollipop sticks into your mini cakes. 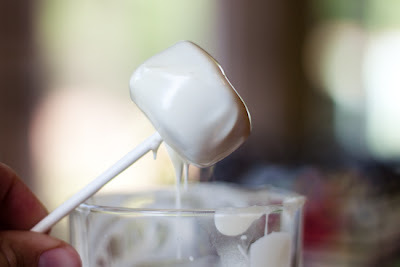 Melt a small amount of the chocolate, place in a zip-lock bag, cut the tip of the bag, then pipe a ring around the top of the lollipop (where it meets the cake). Place in the freezer for about an hour. 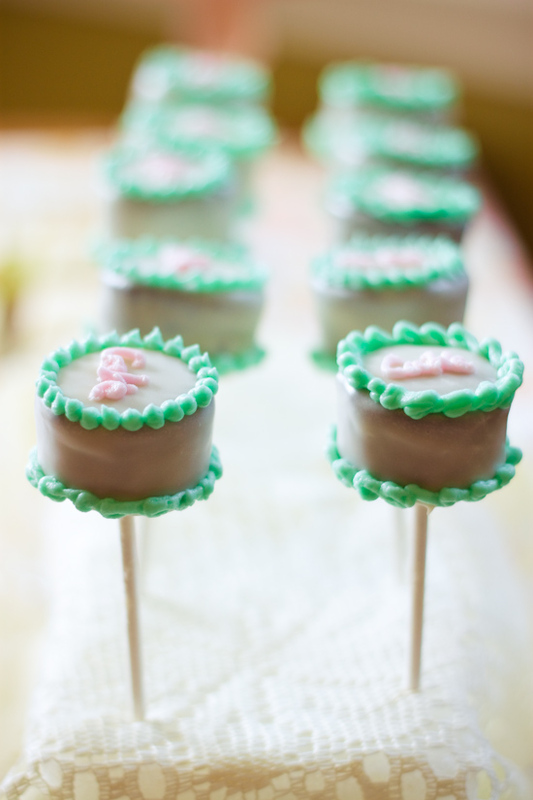 For a more pictures, see step 10 of my Spring Flower Cake Pops. Step 6. Melt chocolate according to package directions. I like to melt mine in a tall/skinny cup in the microwave, the cup makes it easier to dip and uses less chocolate. 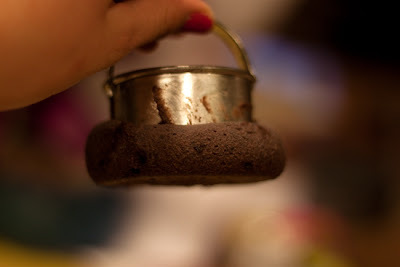 Dip the mini cakes in the melted chocolate (take out of the freezer 1 at a time to help keep firm), making sure to cover the cakes completely. 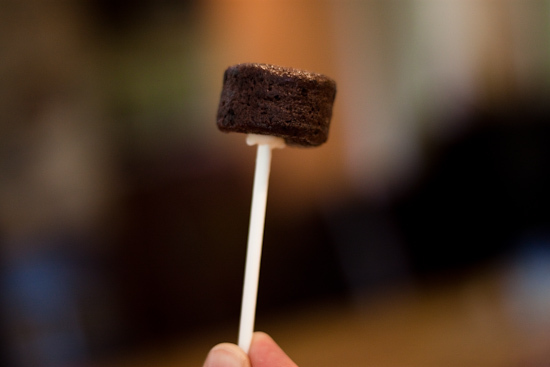 *Tap the lollipop stick against the cup very lightly to help remove excess chocolate. Step 7. 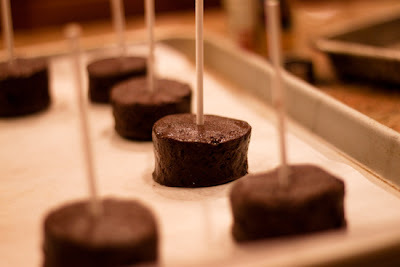 Place the mini cakes upright by pressing the bottoms of the lollipop sticks into a block of styrofoam and let the chocolate harden completely. Step 8. 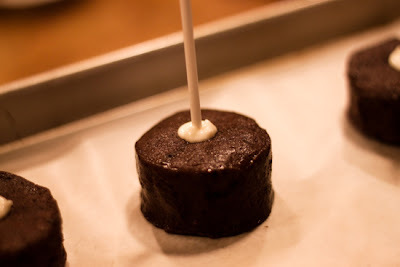 Using a #3 frosting tip and buttercream frosting, pipe a mini boarder around the top and bottom of the mini cakes. Step 10. 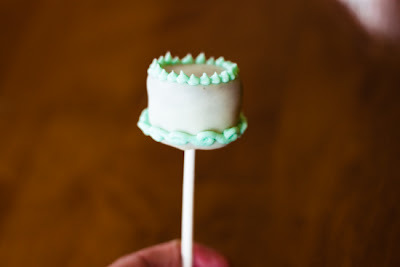 If you would like to use the foam block to display your cake pops, you can cover the top with doilies or lace fabric. 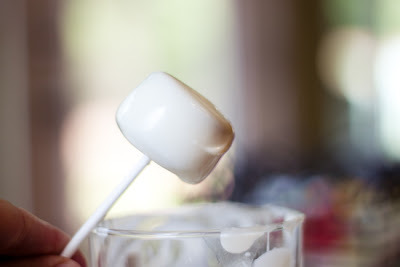 Then just stick the lollipops through the holes in the lacing. I also placed my foam block on a small platter. Keep cake pops in the fridge or a cool place until ready to serve. Then enjoy! Eek, my birthday is coming up and I can't wait to try this out! 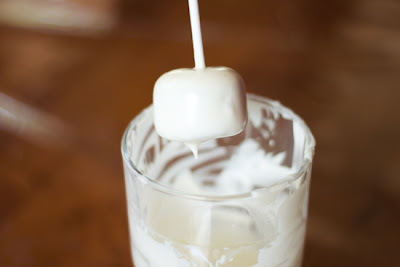 Just one question: about how many cake pops does this recipe create? I don't want to end up making too much. So cute! 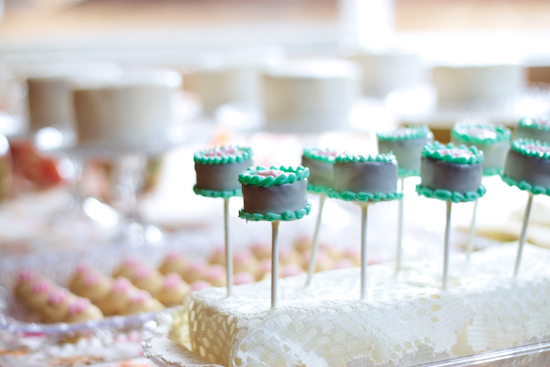 A great idea for a bridal shower or the dessert table at a wedding. I just found your blog via Poppytalk and all I can say is WOW! You have so many amazing how-tos and tutorials- I'm totally blown away and super excited. And I would LOVE to link to some of your projects if you didn't mind. I can't wait to make that pencil holder! That is some serious cuteness. 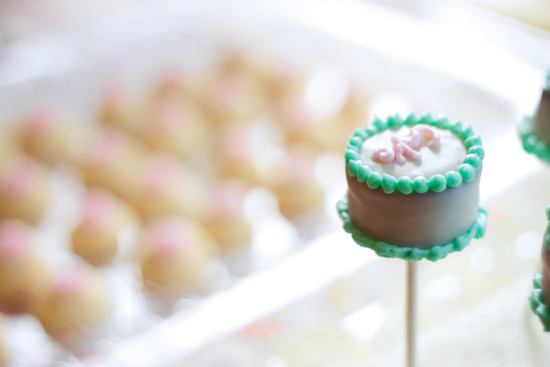 I love little cake pops. And you're right, it looks totally doable! I'm not exactly positive how many cake pops one batch will make, I only made enough for what I needed and then saved the additional cake pop batter. But I will say that it makes approximately 22-26 cake pops...hope that helps! 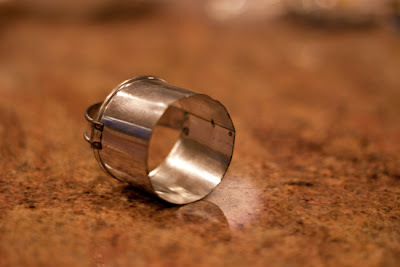 Question -- could you make these by baking the 13x9 cake and then just use the one inch cutter to cut out the little cakes out of the big one? Or is there a reason this wouldn't work that I haven't thought of yet? Good question! I'm really not sure if that would work or not. My only concern would be that cutting the circle shape directly our of the 9x13 cake may be too light and airy to dip into the chocolate. But if you dipped them in chocolate while the cake was frozen it might work...hmmm if you give it a try let me know how it turns out! I love these so much! Thanks for the tutorial. Wow! These are absolutely adorable. Can't wait to make them. Thanks for sharing! OMG!!!!! These are the cutest things. 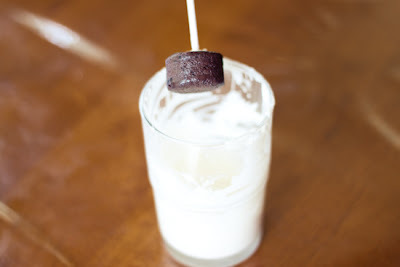 I am sooooo going to try and make these. I know mine will not look as good as yours. I am sooooo loving them. You are one talented woman. I love them!! So sweet, thanks so much for sharing this great idea! It's beautiful. I put a link to your article on my french blog. Amazing work! I featured you on my blog! I can't wait to make these!!! WoW! that was absolutely beautiful. Just Mind Blowing! As the source provides the stunning contents and features to make the cute small cakes. It's authentically looking one of loving featured stuff to surprise some one. As the massive tutorial contents are really promising about it. Thanks for sharing. SO cute i can eat these cakes in one bite. These are gorgeous! Does the buttercream hold when transported?